‘Typically, shark sightings start in late August, and continue through to April, with most sightings being reported in mid-summer. We are also asking surfers to be especially vigilant in the areas between Sunrise and Macassar Beach as research has shown that the presence of sharks is extremely common at this time of year. At 08h42 this morning Western Cape Government Health Emergency Medical Services responded to a house alight at number 45 Victoria Road, Tuscany Glen in Blue Downs. Two people were fortunately able to escape the burning structure just before the roof collapsed. The City of Cape Town notes with concern that yet another maintenance team, this time a contractor, has been robbed at gunpoint while attending to an overflowing sewer. The incident occurred on Monday 22 August 2016 on the property of the Boundary Primary School in Taaibos Road, Bonteheuwel. After being called out to deal with an overflowing sewer, the contractor arrived on site to commence overpumping (whereby the blockage is isolated from the network so it can be cleared), but as soon as they began setting up equipment, they were accosted and their valuables and equipment stolen. As a result of the robbery, the repairs and clean-up operations have been delayed until the area is safe. The City of Cape Town took over the management of the 705 Joe Slovo Park units in June 2013 and has since been engaging with the Joe Slovo Committee to formalise their occupancy, but to no avail. Despite attempts to enter into formal lease agreements with the City, the residents repeatedly refused to do so. Lease agreements not only enable the City to work in a more financially sustainable and formal manner, but are also a prerequisite for the City to attend to normal repairs and maintenance requests from tenants. 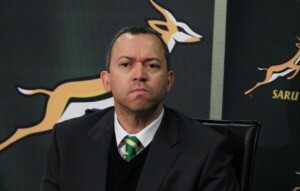 Mr Oregan Hoskins announced on Wednesday that he was stepping down as president of the South African Rugby Union after a decade of service and achievement. Mr Hoskins advised the membership of SA Rugby at a meeting of the General Council in Johannesburg on Wednesday. “I have enjoyed a remarkable ten and a half years in one of the most high-profile roles in South African sport and have enjoyed some incredible highs,” said Mr Hoskins. “It has been a pleasure and a privilege and I want to thank everyone involved in South African rugby for the fantastic journey we have shared. The City of Cape Town’s Metro Police and Traffic Services Departments arrested 73 suspects during operations in the last few days. The Metro Police Gang and Drug Task Team’s K9 Unit reacted to a shooting incident recorded by the Shotspotter system in Matilda Road, Manenberg in the early hours of Thursday 11 August 2016. Upon investigation, they spotted two suspects who ran when they saw the officers. One of the suspects was arrested at a house in the area. 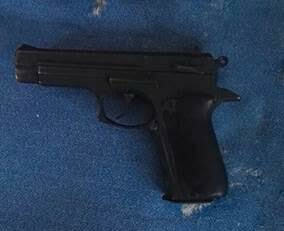 Further investigation revealed a 9 mm firearm on the premises, 64 rounds of ammunition and one firearm magazine. Officers took a further six suspects into custody, aged between 19 and 36. 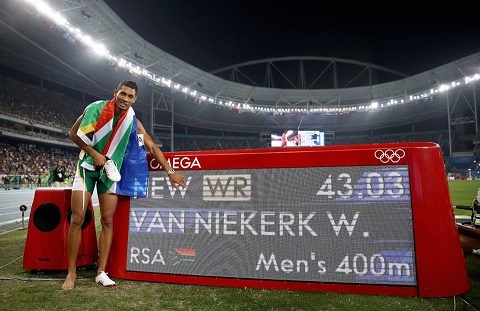 Wayde van Niekerk wins gold at Olympics and shatters Michael Johnson’s World Record! Talks between South Africa’s major political parties on coalitions have not yet yielded any breakthroughs. None of the political parties had anticipated that the 2016 local government elections would result in such a medley of outcomes, with no outright winner in four of the eight metros. It has been difficult to switch from aggressive campaign mode to negotiations mode, which naturally involves bargaining and compromise. Smaller parties appear to have big demands, including the “removal” of the president, which make for tricky negotiations. The situation requires political maturity and some out-of-the-box thinking. If there is anyone who knows how hard it is to serve in a coalition government it is President Jacob Zuma. The ANC was a minority partner in the KwaZulu-Natal government between 1994 and 1999, the first term of the democratic order. The Inkatha Freedom Party (IFP) won 10.5% of the vote nationally and just over 50% in KwaZulu-Natal in the first election. With the IFP serving in the Government of National Unity nationally, the ANC, which received 32% of the vote in KwaZulu-Natal, had three MECs serving in the provincial government. Zuma was one of the three ANC MECs who served under successive IFP premiers, Frank Mdlalose, Ben Ngubane and Lionel Mtshali.